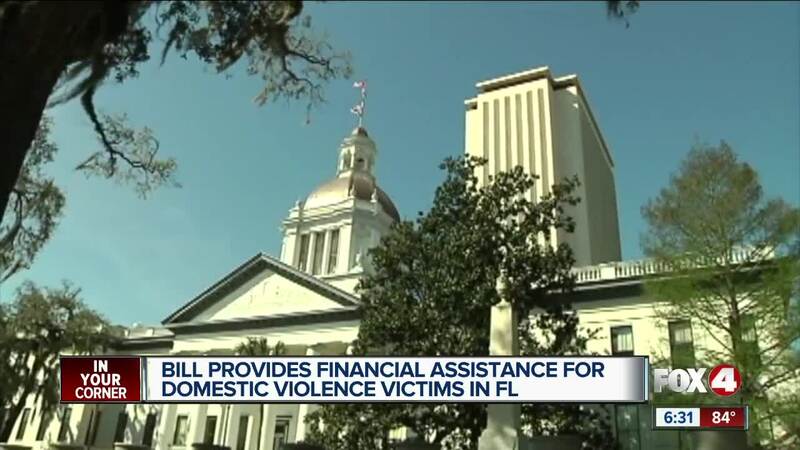 Florida women who are forced to leave their jobs in order to escape domestic violence situations could soon be getting some financial help from Tallahassee. State lawmakers are pushing a bill which, if passed, would provide those victims with unemployment benefits for up to twelve weeks. COLLIER COUNTY, Fla. — Women in Florida who are forced to leave their jobs in order to escape domestic violence situations could soon be getting some financial help from Tallahassee. State lawmakers are pushing House Bill 563, which - if passed - would provide those victims with unemployment benefits for up to twelve weeks. Linda Oberhaus, CEO of the Shelter for Abused Women and Children in Naples, said too many of those victims have to choose between financial worries and freeing themselves from an abusive spouse. "Financial barriers are one of the number one reasons that women don't leave abusive situations," Oberhaus said. She said that it's common for abusers to harass their victims at work. "This legislation will not only keep victims and their children safe, it's going to keep workplaces safe as well," she said. If HB 563 is passed, it would take effect July 1. Victims would be required to provide some kind of proof of domestic violence, such as a police report or restraining order. Anyone seeking help for a domestic violence situation is urged to call Florida's Domestic Violence Hotline at 1-800-500-1119.